Memorial Day in East Timor is observed on December 7. It is a public holiday dedicated to the victims of the Indonesian occupation of East Timor. The occupation began in December 1999 and lasted for more than two decades. It was notorious for executions, massacres, torture, and deliberate starvation. The Portuguese discovered the island of Timor in the early 1510s and began colonization in the mid-16th century. The 1974 Carnation Revolution instigated the decolonization process and Portugal effectively abandoned the colony of East Timor. 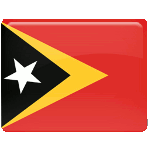 Following a civil war between supporters of the Timorese Democratic Union (UDT) and the Revolutionary Front for an Independent East Timor (Fretilin), Fretilin unilaterally declared the independence of East Timor on November 28, 1975. Nine days later, on December 7, Indonesian military forces invaded East Timor and occupied it. The United Nations condemned the actions of Indonesia in East Timor, but some countries supported the Indonesian government. By 1979, Indonesia had suppressed the armed resistance in East Timor. The Indonesian occupation of East Timor lasted for 24 years. The number of deaths from violence and famine during the occupation is estimated to be between 90,000 and 200,000. Moreover, the Indonesian military destroyed most of the country’s infrastructure right before the withdrawal. Following the withdrawal of the Indonesian forces and the formal recognition of East Timorese independence, the anniversary of the beginning of the occupation was declared a public holiday named National Heroes Day. However, it was subsequently moved to December 31, and December 7 was renamed Memorial Day.